If you’re like me, you gotta have music all the time. Except for training and social rides, I almost always have headphones on while riding. Over the past six or seven years my favourite headphone for riding has been the now seemingly discontinued Sony MDR-EX71SL, while for non-riding situations I have Skullcandy products. 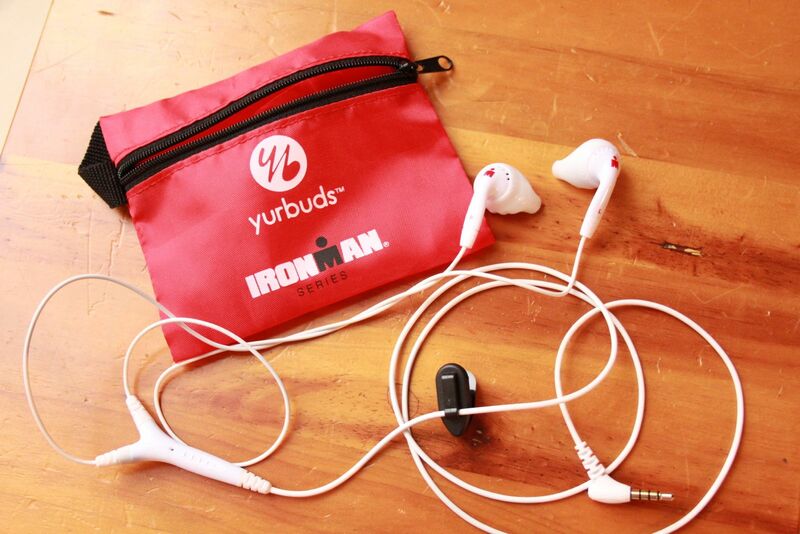 So when I saw Yurbuds at Interbike last fall, I was keenly interested. 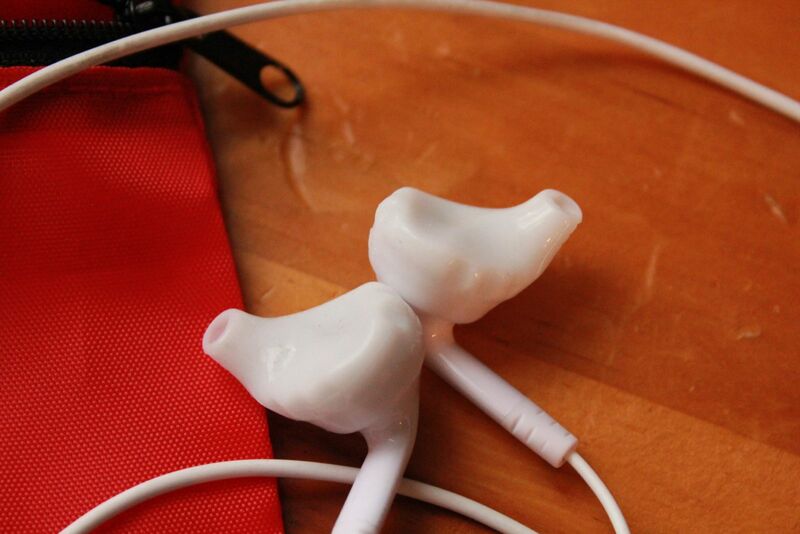 Yurbuds rely on a shaped silicon cover (fit “enhancers”) to hold the earbud-style headphones in place. 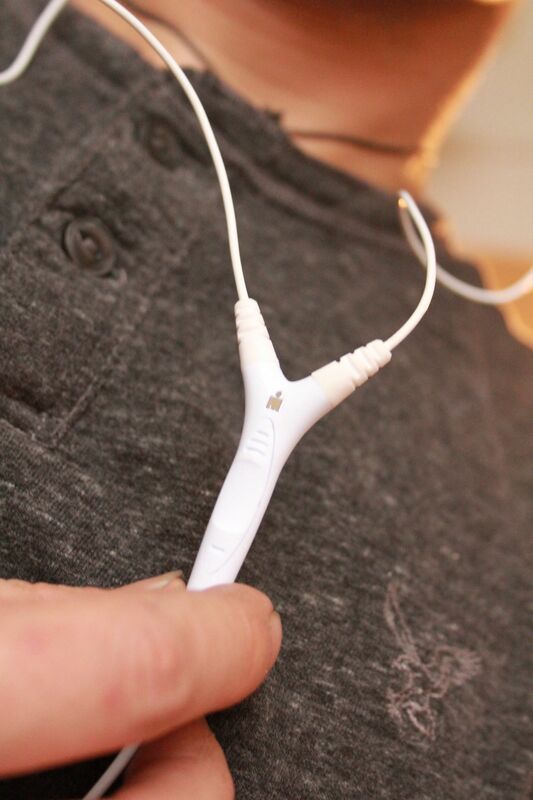 You insert the Yurbud into you ear with a twisting motion and they stay in. Well, I did manage to shake them loose a couple times, but for the most Yurbuds stayed put as promised. Another size of enhancers are included, but I found the pre-installed version worked best for me. That silicon casing is kinda large and feels a bit awkward in my ear though. I didn’t especially care for it while wearing winter cap that covered my ears, though to be fair I have that issue, if slightly less pronounced, with all but the daintiest of earbuds. I bought the Yurbud Inspire Pro, which has all the best features like remote-button track advance/volume control/play-pause. It also has a microphone incorporated on the cable control, as well as full iPhone compatibility. The button control functions similar to my more familiar Skullcandy headphones; which is to say that they work well except when wearing full-finger gloves…..which for me is every time I ride. Yurbuds are “sweat/water-resistant”, so they are up to the task of Seattle drizzle but I’d be a little hesitant in a full Florida-style summer rainstorm. However the deal-breaker for me is that the sound quality just doesn’t match my other headphones. These Yurbuds may advertise that they allow more ambient sound in, but I have to crank them up to an uncomfortable level to hear the bass, offsetting any gains in ambient sound transparency. 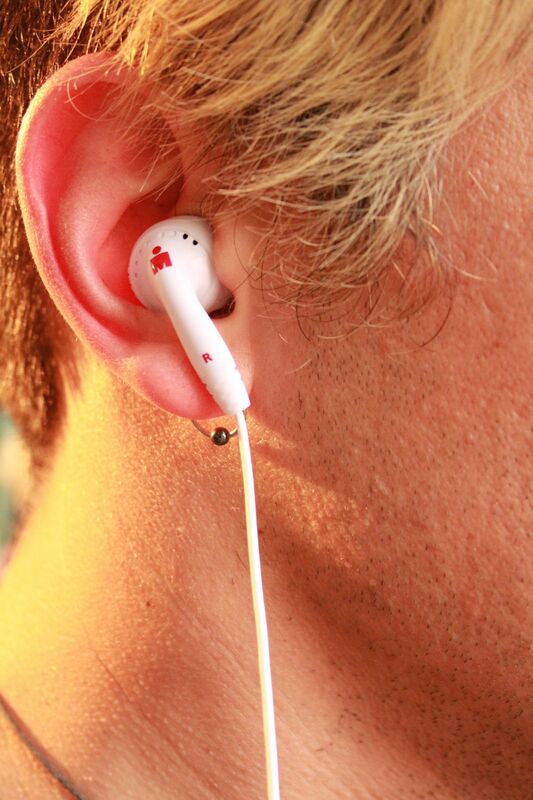 I guess I’ll have to keep looking a replacement for my Sony earbuds.